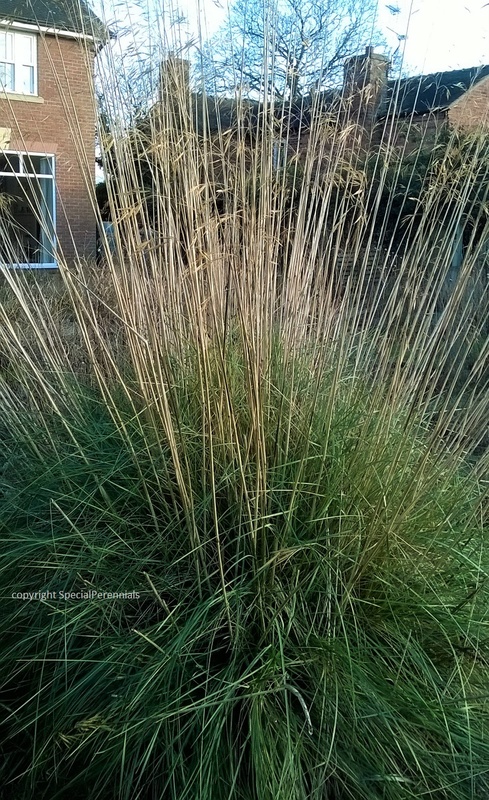 Stipa are cool season grasses so start growing in late winter or very early spring. Both of these can be cut back hard to 2-3in / 5-10cm from the soil as most of the leaves die over winter. If you don't want loads of Stipa tenuissima seedlings you can do this pruning in autumn but do remember that the plants are short lived and fresh seedlings are needed to replace losses. Moor grasses are "self pruning" as they topple over in winter gales and usually snap off at the base. Its advisable to gather up the stems as they can smoother plants around and provide a save haven for voles. These can be pruned back very hard in late winter.